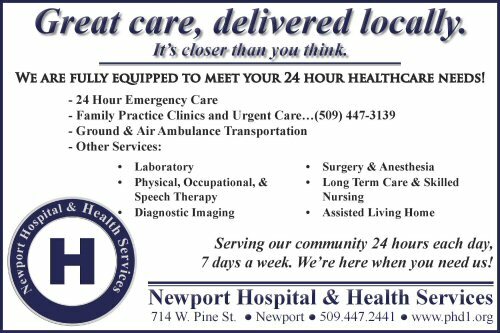 We are a 24-bed acute care rural hospital facility fully equipped to meet the healthcare needs of area residents and others, 24 hours a day. Air ambulance services and local/regional ground transportation allow patient transfer as necessary to Spokane, Washington twenty-five minutes away by air.The medical staff provides the skill and expertise of 51 physicians and health care affiliates.Outpatient Services include Laboratory, Physical Therapy, Diagnostic Imaging, and Anesthesia services on a 24-hour basis. Here when you need us. Delivering excellence in healthcare with a tradition of quality and commitment.